The Royal Opera opened its 2017/18 Season with a new production of Puccini’s popular opera La bohème, directed by Richard Jones. 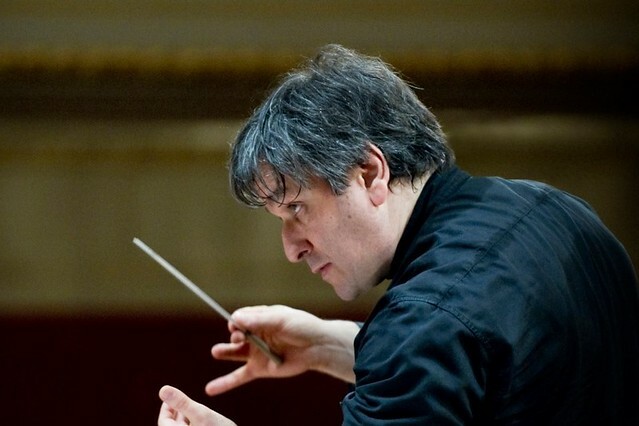 In the run-up to opening night, BBC Radio 4 shadowed Music Director of The Royal Opera, Antonio Pappano, who shared the challenges of operating at the very highest level of operatic performance, as well as the thrill of working on a new production of such a famous work. The five-part documentary gives unprecedented access behind the scenes at the Royal Opera House, interviewing the team working both on and off stage, as well as cast members, set-builders, stage directors, movement directors, and repetiteurs. Listen to Following Pappano at 9.45am on BBC Radio 4 every morning this week, or via BBC iPlayer. La bohème runs until 10 October 2017. Tickets are still available. The opera will be relayed live to cinemas around the world on 3 October 2017. Find your nearest cinema and sign up to our mailing list. Just returned from our local cinema after seeing the heart-breakingly beautiful performance of La Boheme. Thank you to everyone involved in this amazing masterpiece. Two hours of being swept away by the music, singing and emotional drama. Tearful but unforgettable.